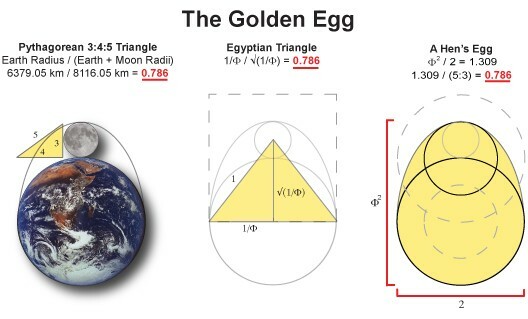 While we don't hear much about it today (actually nothing about it), knowledge of this 'cosmic egg' geometry was apparently well known in the ancient world. The ancient Egyptian fable The Goose That Laid the Golden Eggs speaks of this wisdom in philosophical terms long before Aesop wrote his fables. But the Great Pyramid of Khufu made it real. 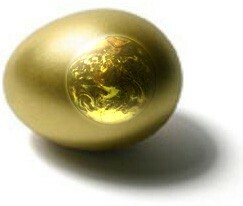 This triangular building was once a temple to the Earth-Moon egg, celebrating the golden mean in nature for all to see. The ancient Egyptian Naga knew that this 'divine proportion' contained everything and all things originated from it, bringing the world into a fine balance for life to evolve. 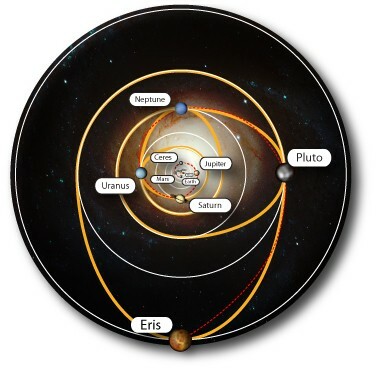 The truth is the entire solar system is a series of such eggs - nested one within another like a giant Russian Matryoshka doll - all resonating out of the Sun's golden heliospheric spiral. We live inside this solar Matryoshka - growing in the yolk of an enormous fractal egg laid by the Milky Way. We wait to hatch, yet most wait completely unaware. The answer is it would conflict with the 'complicity of convenience' between Science and Religion (begun 350 years ago during 'The Enlightenment') to avoid any mention of natural 'pagan' harmonic principles. For to mention such things would be to admit that life is purposeful in the cosmos and divinity can be found right there in nature. Such a worldview would conflict with the deeply entrenched scientific view of randomness and meaninglessness in all things and would threaten the well-defended Darwinian assumption that life emerged entirely by accident. It would also conflict with the Holy Roman Empire's thousand year crusade to separate mankind from nature, enforcing social control through psychological and political means. No, we must not say a word, lest we bring down the teetering architecture of Western civilization.